Robert Groslot (1951- ), Belgian conductor, pianist, composer and film maker. He teaches piano and chamber music at the Royal Conservatory in Antwerp. 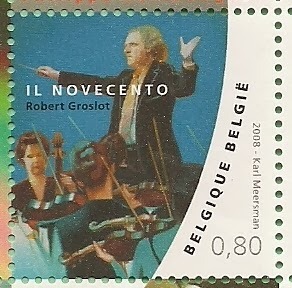 With his orchestra, Groslot the orchestra II Novecento, he is the conductor since 1991. He composes orchestral music.